It's time for the next WIPocalypse :D and I've been busy. I have a couple of projects on the go. 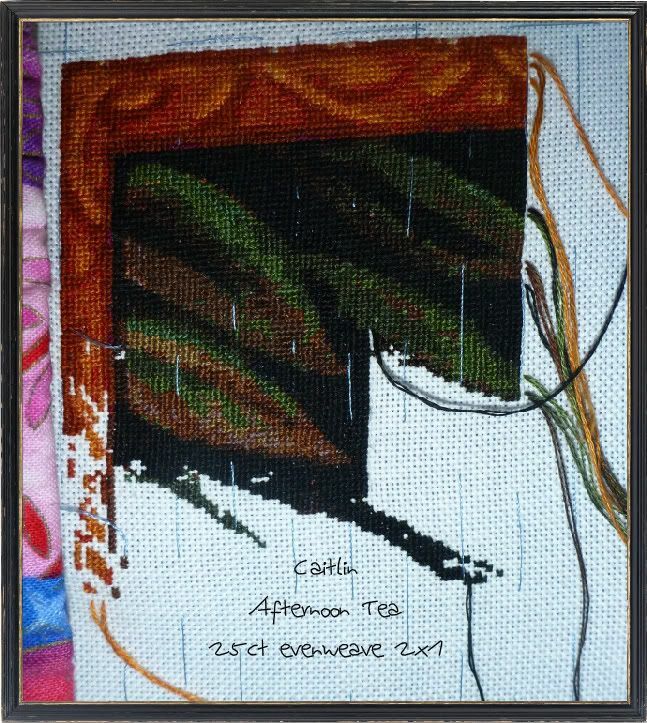 I have to start somewhere so here is my last update from Afternoon Tea. I have done some more black but I don't have an up-to-date photo. 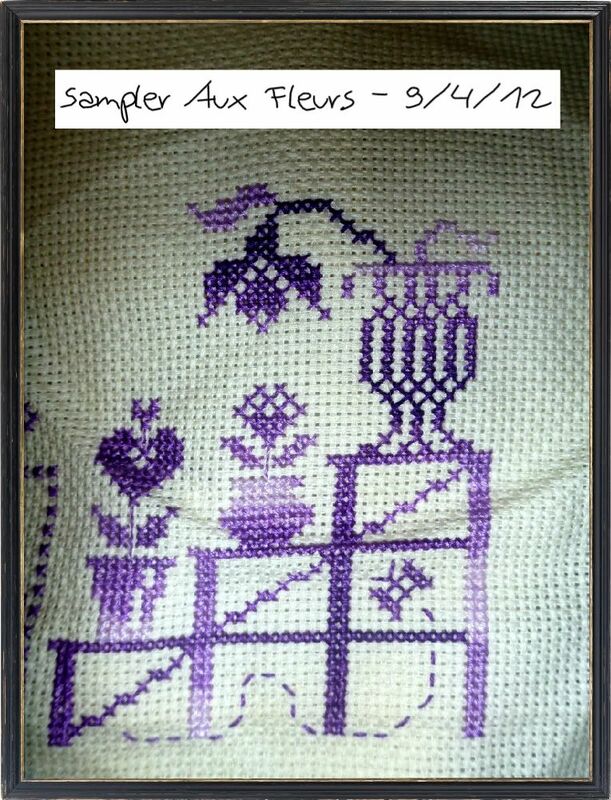 I have reached 3 of the corners of Sampler Aux Fleurs. I am doing all the edges then filling in the middle. The last motif isn't yet finished it goes up quite a way. With the flowers out of this vase. I finished off the first two sides. 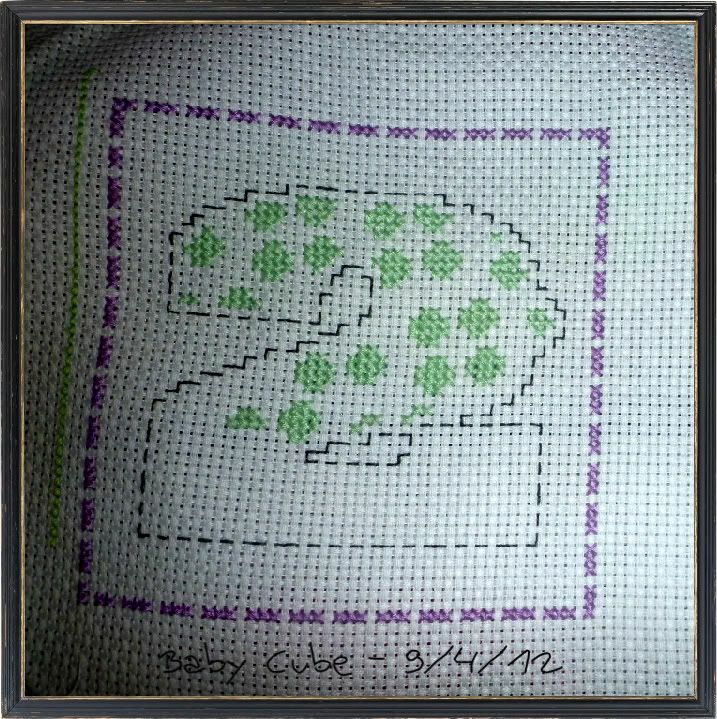 and I decided to only make 4 sides I will make 2 cubes with 2 cross stitched sides and 4 fabric sides. To give the cubes texture and because these are taking longer than I thought to do each side. 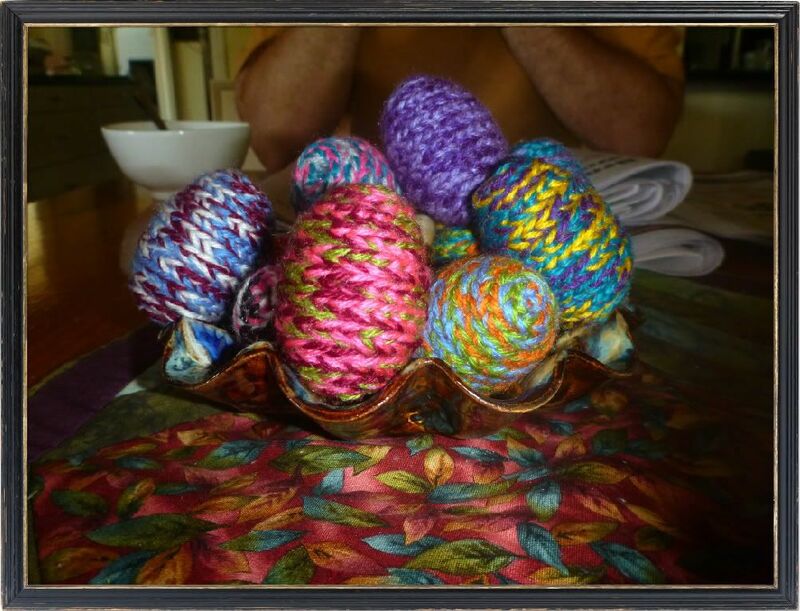 I have been working on eggs for Easter. I was thinking about using braid but that was taking hours to get even close to doing one tiny little egg. So I changed my mind and started using my crochet hook and making chains. Then it was only taking 20 minutes an egg not hours and hours to get half way! There are lots of cool colours. So I have been very busy this month and actually got a lot done which makes me feel better. Some days particularly with the HAED it feels like I am only crawling. You have done great work. The eggs look very cool! Terrific progress! 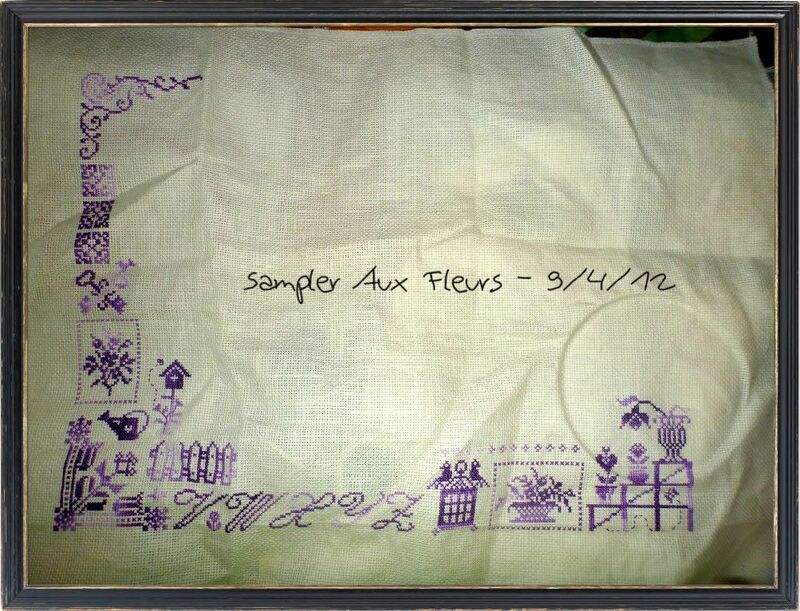 I've not come across Sampler aux Fleurs before. Another to add to the wish list. You've made a lot of beautiful progress and I love the eggs, very creative. Love your progress and those eggs look great. 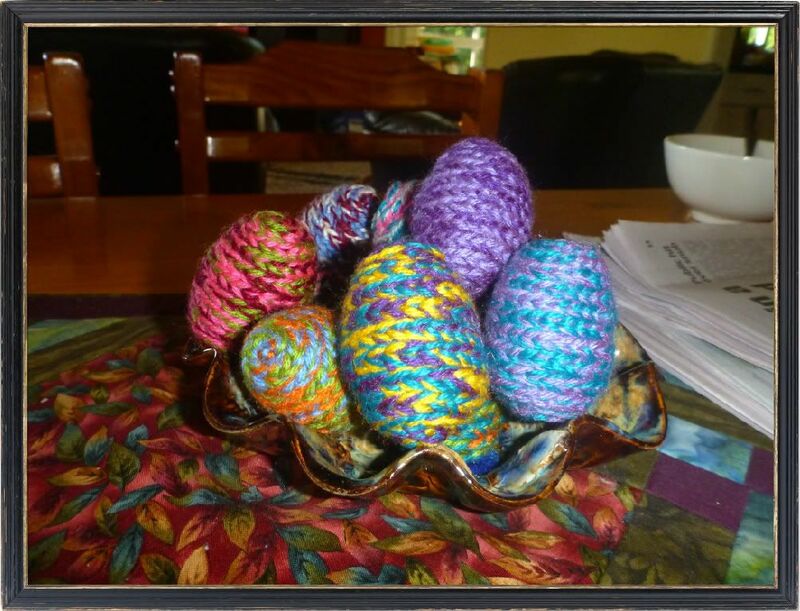 Those crochet eggs are adorable!! I need to make those next year!! 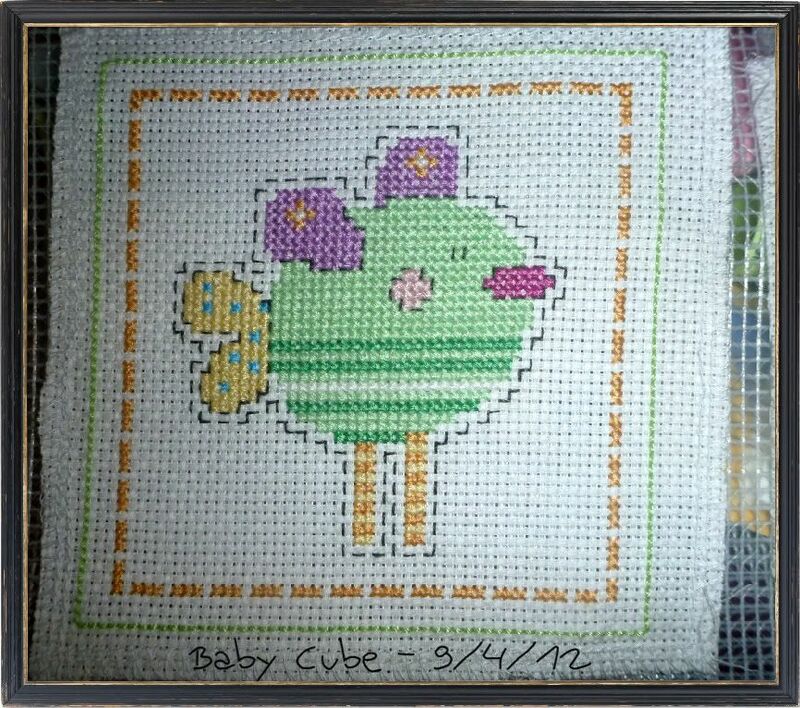 I love those baby cube stitches, especially the birdie! Wow! great progress. Your stitching is lovely. The baby cube pieces are so pretty but those eggs are adorable! I love them! I bet they look even prettier IRL. HAEDs can be like that, which is why it's so nice sometimes to have other non-HAED projects going. Also, those eggs are SUPER cool! Every thing is looking great. I love to see more on afternoon tea! What a great round up for the month. 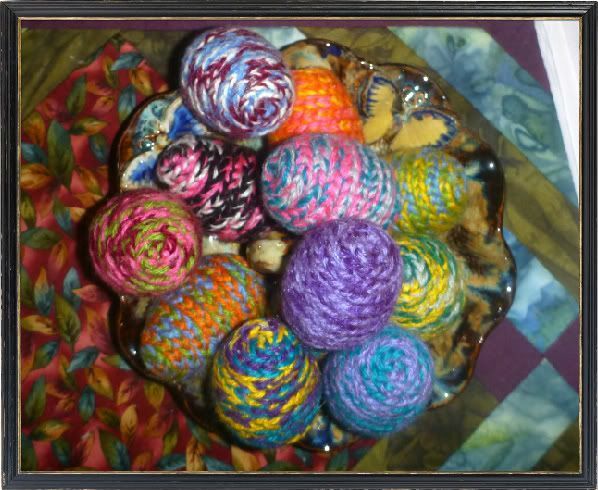 The eggs are lovely, so colourful and bright. I love the purple on your sampler too. Absolutely great progress on your WIPs. And these Eastereggs - wow. They are so very creative, I just love them. Keep plugging away at your HAED you'll get there, with my BAP (not a HAED) I put in a 10x10 block every day and what a difference it makes on my progress! 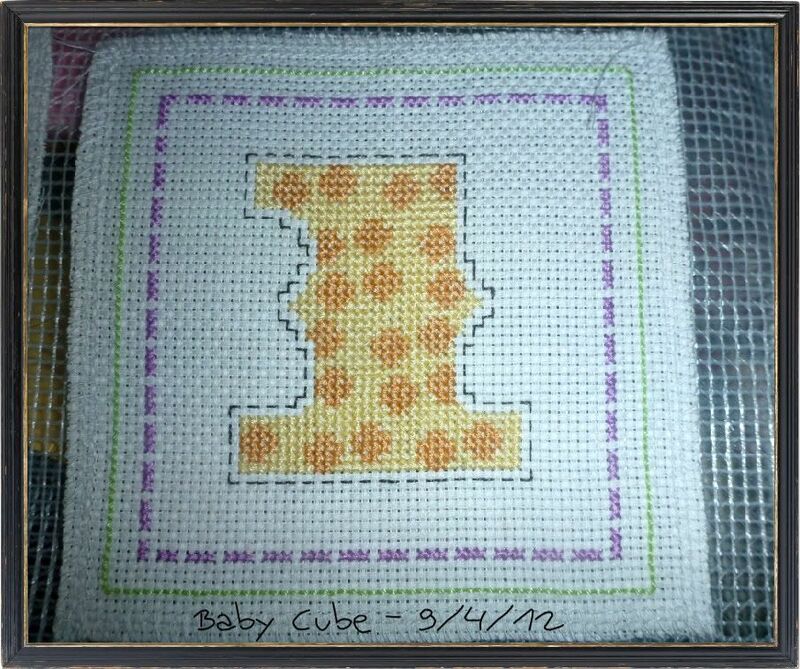 That baby block is going to be adorable! Love the Easter eggs. So colorful. :) Stitching looks great. Just stopping by your blog. Your Haed is coming on great. Love your little eggs too. Love those eggs, they are so bright and cheerful! Baby cube is looking good, although I know what you mean about things taking longer than you anticipated.....story of my life!!! 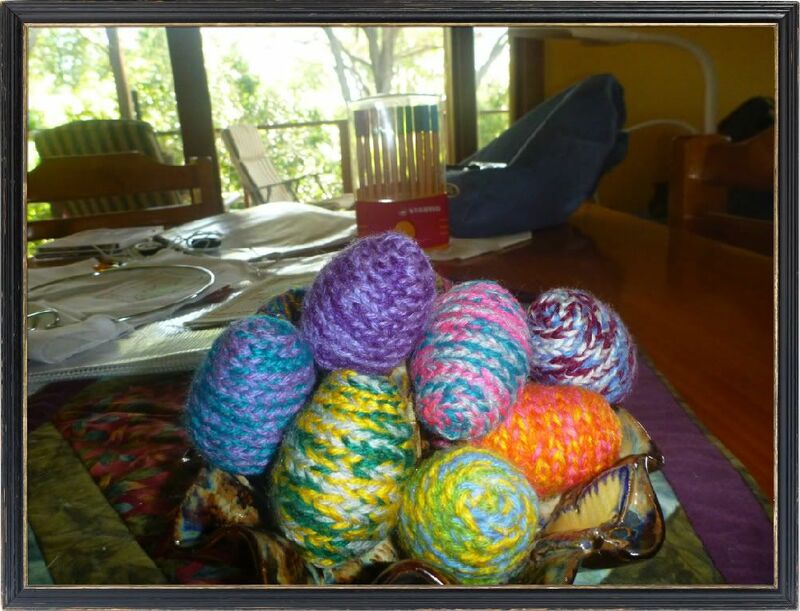 Your crocheted Easter eggs are adorable! I love the Baby cube idea! Great stitching!